Waverley Route BR era Edinburgh-Carlisle. Track has been laid Falahill to just before Gorebridge. Location : Camp Hill Line. Re: Waverley Route BR era Edinburgh-Carlisle. Your output continues to amaze and the work is up to your usual excellent standard. Nice to see another route under way Tim! 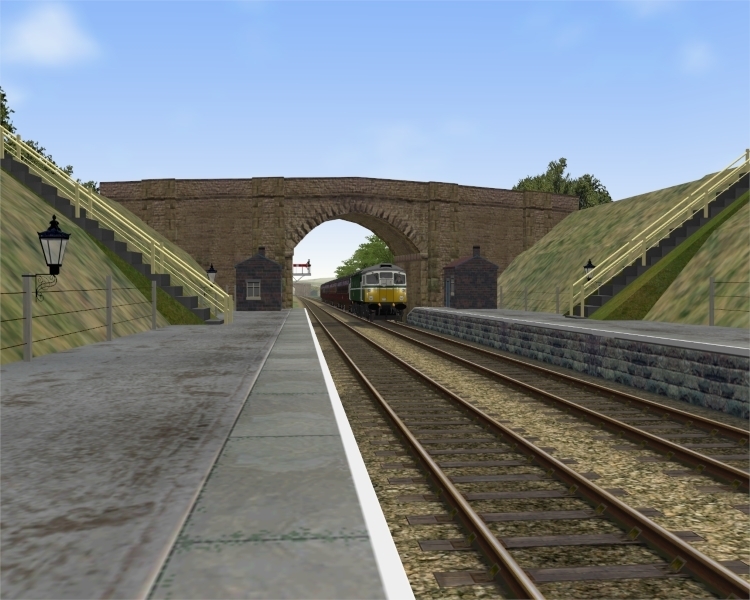 Following re-starting route building now with OpenRails route editor, main line track has been laid to Newtongrange. Stiff climb for the test McRat even on load 4. The OR aerial imagery tool has been used to texture the ground however presumably this may not make it into a release due to copyright. Grabbing images from Google Earth the old, slow way one can identify which company owns a particular area/time however using the OR way it grabs whatever's newest available. Looking good Tim. Where do you get the OR aerial imagery tool from?